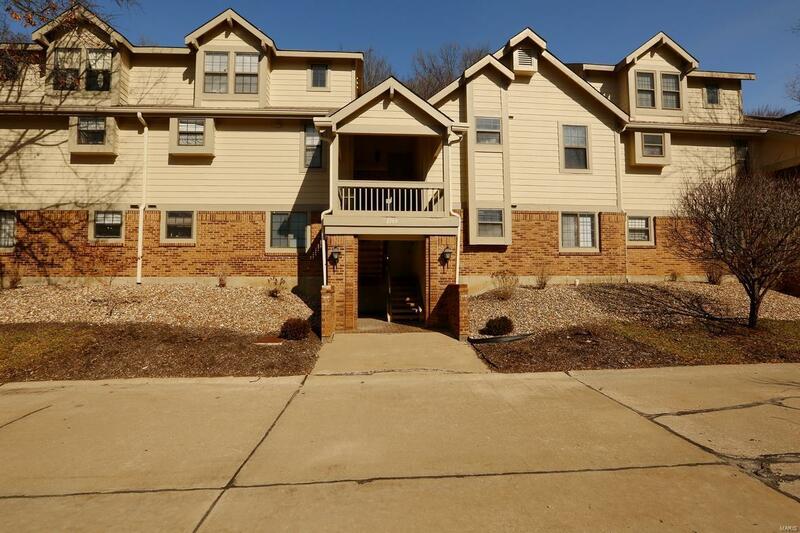 The Parkside Condominium complex is a beautiful community of gently rolling hills, wooded ample green space & freely roaming deer. 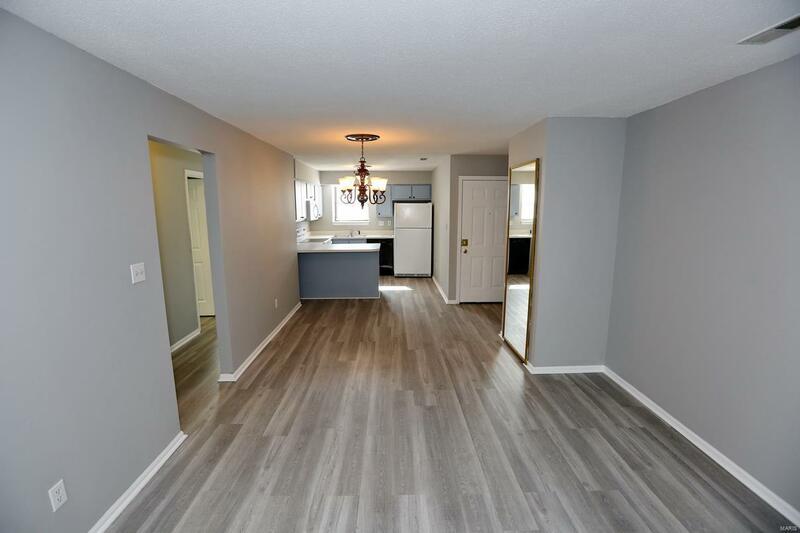 1st floor unit does require a few stairs to get inside, but once inside you will find an open floor plan with new flooring and freshly painted throughout. Conveniently located to HWY 270, HWY 70, HWY 364 and Creve Coeur Park. Condo has 2 bedrooms, 2 bathrooms, covered parking, and includes a stackable washer and dryer for your convenience. 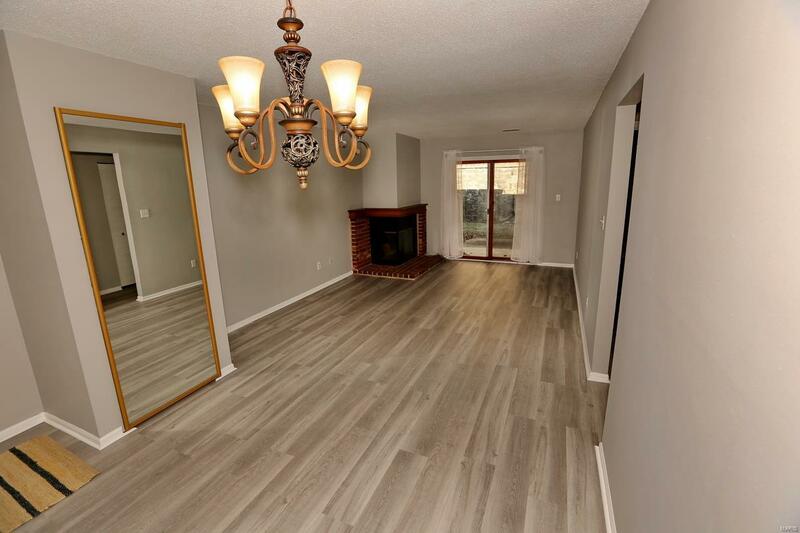 Master bedroom has a ceiling fan, spacious closet, full bathroom with tub and shower combo, extra long vanity. 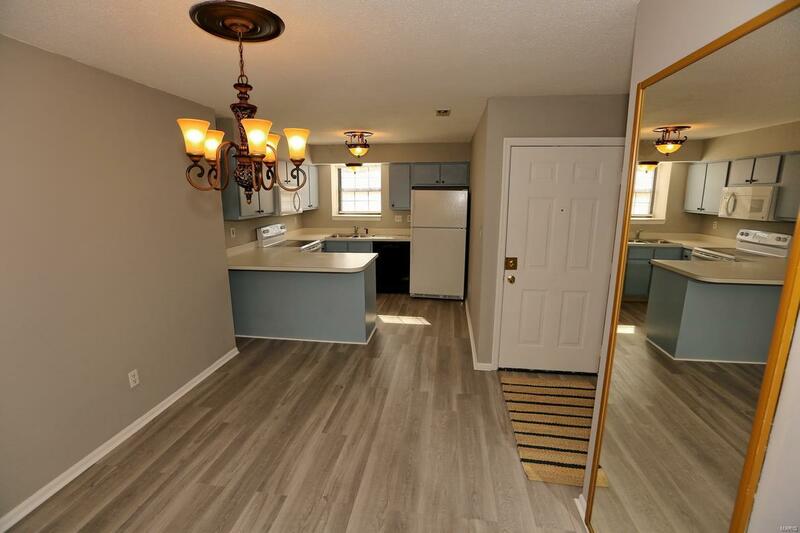 The kitchen features a breakfast bar, abundance of cabinet and counter space, smooth top stove, dishwasher, refrigerator, and a window over the sink. Open floor plan includes kitchen, breakfast room and living space with cozy fireplace that is all open with sliding glass doors to the private patio area.